Paul Gorman has curated a show that celebrates a legendary tastemaker. Lloyd Johnson ran the famous "modern outfitters" in World's End which throught the 1980s was where all the best pop stars shopped. Nick Logan (the founder of The Face magazine)has described this exhibition as being long overdue. "It's time Lloyd Johnson's story was told; he is a great guy, one of the crucial figures in the development of British style." 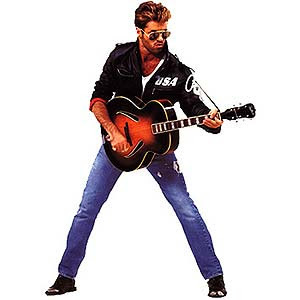 Above: George Micheal wearing a Lloyd Johnson jacket in the video for his hit Faith in 88. I went to the very well attended opening. 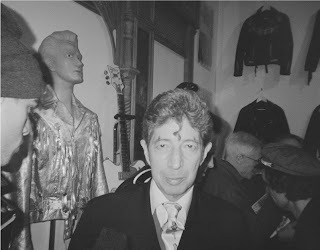 It felt like there was a lot of love in the room for this guy whose fans included George Micheal, Joe Strummer, Keith Richards, Tom Waits, and even Bob Dylan. A member of Alabama 3 I met in the pub tonight was very keen for The Rebel magazine to spread the word about a special event taking place on Friday 27th and Saturday 28th of Jan (8pm - 6am)in Brixton. Many interesting folk are involved including: Mr Nice a.k.a Howard Marks, The Thirst, Rodney P, Dub Pistols, Congo Natty & Tenor Fly. 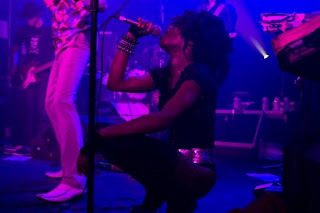 Plus there will be DJ sets from Adamski, Stereo MCs, Basement Jaxx and many others, Alabama 3 will be doing an acoustic set. Blah blah blah. 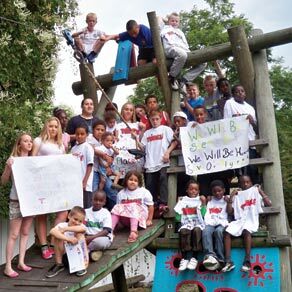 Triangle Adventure Playground has been around since 1957 - they need your help to stay open. 100% of the door entrance will go to the Triangle AP. 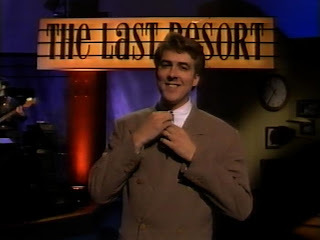 When I was 15 years old my favourite thing on TV was a live chat show called The Last Resort with Jonathan Ross. The house band for the show were fantastic. 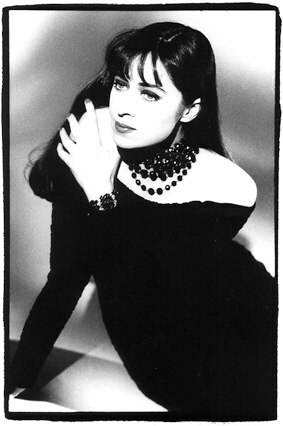 Recently a friend came across details of some of the guest singers that performed with Steve Nieve and The Playboys and, thanks to you tube, I had a really nice trip down memory lane. The band leader was of course Steve Nieve, Pete Thomas was on drums, The guitarist was Kevin Armstrong and the bass player (who looked a bit like Tom Jones) was Steve Lawrence. Their first guest (on 18th of Sept 1987)was Paul Young & Q Tips who performed great versions of both The Letter Song and Sweet Soul Music. The next show (25.09.1987) which is also on You Tube featured the fabulous Barry Humphries who joined Les McKeown and Ross to sing a stonking good version of the Bay City Roller's classic "Shang A Lang". I love Pete's drums on this track. I'm also impressed by Barry's dance moves. On the 2nd of Feb the late Billy Mackenzie put in an appearance. A week later there was both Sting and Was Not Was but the highlight of that show was an appearance by America's funniest white guy: Steve Martin. 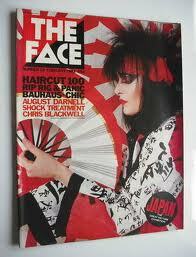 On 16.10.1987 the show featured decent interviews with John Peel and George Harrison. 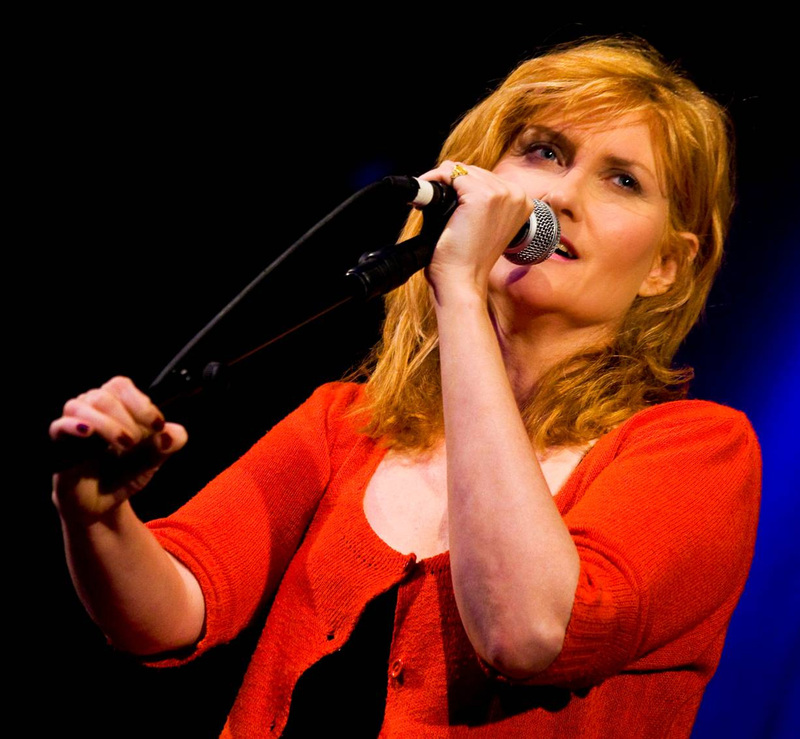 The live music was provided by a Polish singer called Basia (best known in the UK for her work with Matt Bianco). 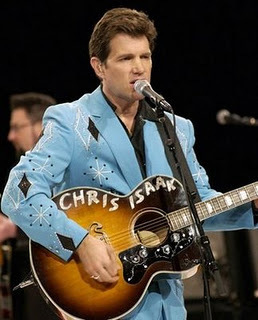 On 30.10.1987 they had Chris Isaak who did his best song Blue Hotel. 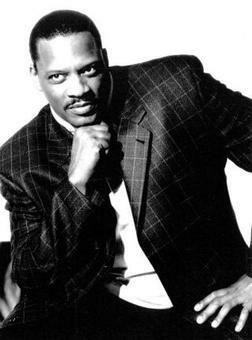 On 06.11.1987 they were joined by the soul legend Alexander O'Neal who performed a great version of Otis Redding's Sitting On The Dock of the Bay. 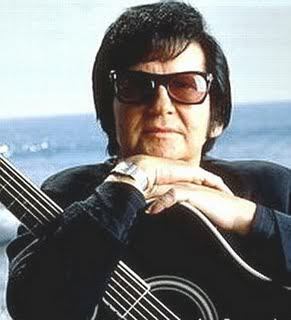 On 13.11.1987 they had one of the best singers of all time: Roy Orbison performing on of the best songs of all time: "In Dreams." On 20.11.1987 there's a bit of a drop in quality and we get Donny Osmond singing Puppy Love. 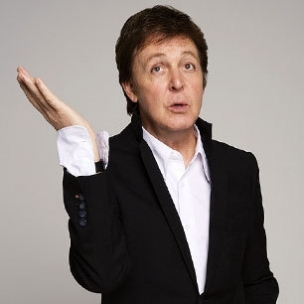 On 27.11.1987 Paul McCartney joins the band to do a rock and roll version of the old Jazz standard "Don't Get Around Much Anymore" and a great version of "I Saw Her Standing There". On 04.12.1987 the guest was Mick Hucknall. 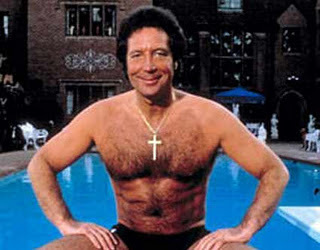 On 11.12.1987 the music is provided by the legendary Tom Jones. On 18.12.1987 Jonathan introduces each member of The Playboys and their slide guitar playing guest B.J Cole. 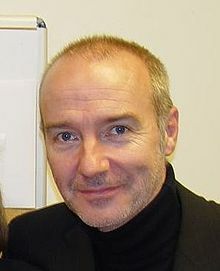 Midge Ure then performs a surprisingly decent version of Cream's Strange Brew. 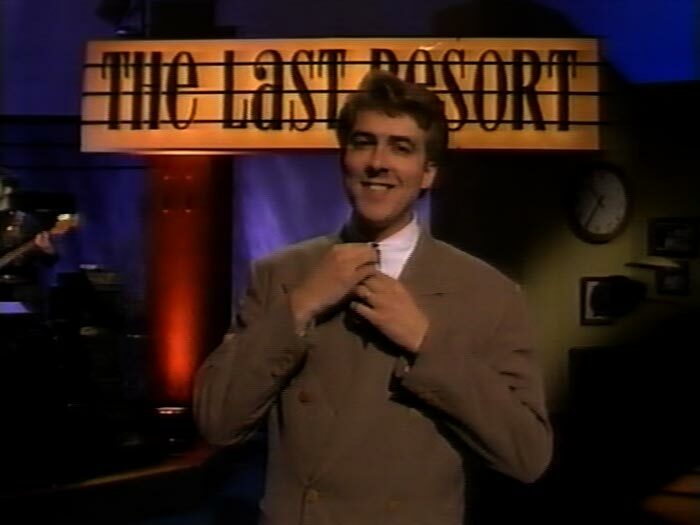 A new series of The Last Resort began on 06.05.1988. 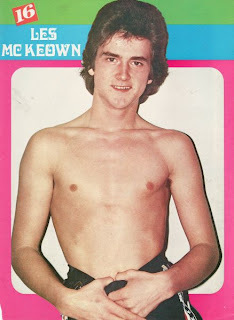 Sadly Kevin Armstrong was no longer in the band (Dame David Bowie had poached him for his Tin Machine project). Guests for that season were Mica Paris, legend Nanci Griffith, Rolf Harris, Elton John,Danny Wilson, Lyle Lovett, k d lang, Andrew Roachford, Bobby McFerrin,a sharp dressed Kevin Rowland performs The More I See You, The More I Want You, Aswad do Jail House Rock andFairground Attraction end the series with a pleasant take on "Walking After Midnight"
Steve would carry on being Jonathan's music director well into the early 1990s. 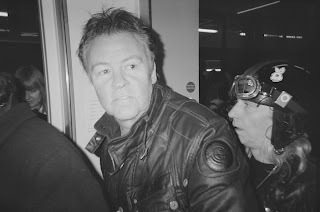 Guests included the great and the good: Nick Heyward, Robert Palmer, Julian Cope, Graham Parker, Norman Lovett, former Go Go: Jane Wiedlin, Tiffany, Jools Holland, Lenny Kravitz, Mark E. Smith, Lloyd Cole & Robert Quine, Harry Dean Stanton, Alex Chilton, They Might Be Giants, and James Brown. There were some great moments but I always thought it was a shame Steve and the band didn't record an album with guest singers. 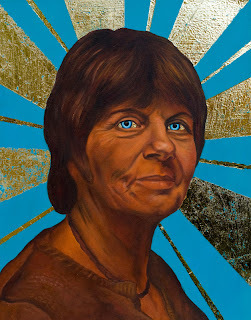 Mat Humphrey:"For me, the notion of painting my mother was very difficult, and also extremely rewarding. It forced me to sit down and think harder and more specifically about her than at any other time in my life. It also made me look harder at her face than perhaps I had before. I photographed her many different times, with the portrait in mind, and spent time watching her different expressions. I saw how the years had affected her skin and the way it creased and folded as different emotions took shape in the muscles around her eyes and mouth. I waited until I felt like I had captured some of the glint in her eyes that betrayed her impish humour. The colours I used were emotionally triggered. I used browns for her skin tones, as it felt right. Earthy and permanent. I gave her eyes a turquoise that belied the power, not the true colour of her gaze, and I gave her iconic gold radiations, as she is my creator, not god. I found it hard to end the painting. I didn’t want an end. It takes no psychologist to work out why. She was moved when she saw the result, and I was relieved at that. 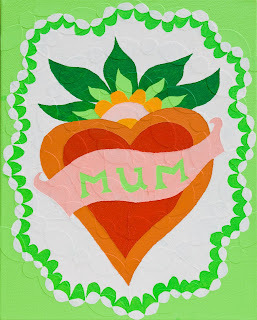 It felt like an honest and emotional thing to do, and I believe that everyone, whether they consider themselves to be an artist or not, should paint a picture of their mother." 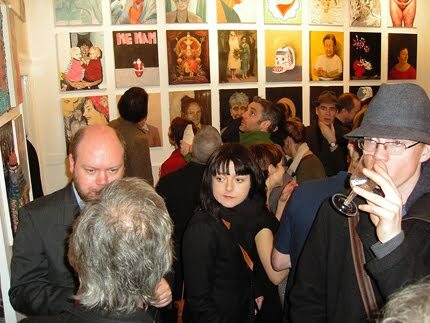 The show features work by 100 artists including: Hugh Mendes, Jamie Dyson, Katie Jones, Jessica Voorsanger, Flo Perry, Anj Smith, Gavin Toye, Kes Richardson, Daisy De Villeneuve, Geraldine Swayne, Guy Allot, Dinos Chapman, Chantal Joffe, Vic Reeves, Grayson Perry, Adam Dant, George Shaw, John Strutton, Richard Wathen, Beverley Daniels,David Shrigley, Peter Harris, Bob & Roberta Smith, Nicola Hicks, Sean O'Connor, Billy Childish, Olivia Plender, Chris Tosic, Lucy Pawlak, Marcus Cope, Michelle Sarah England, Sarah Sparkes, Chris Coombes,Kyle Hawkins, Phil Jones, Neil Innes, Sandra Turnbull, Adrian R. Shaw, Catrin Huber, Helen Barff, Mari Sunna,Martin Dukes, Alex Hamilton, August Kunapu, Lee Maelzer, Helen Barff, Eva Bensasson, Josie McCoy, Kay Harwood,Edith Flowers, Cian Quayle, Julian Wakeling, Ed Ward, Mat Humphrey, Jasper Joffe, Frances Scott,Francesca Sharkey, Isaac Quaye, Rowland Smith, Caroline List, Matthew Stradling, Sam Hallows,Mimei Thompson, Dan Kennedy-Martin, Gordon Beswick. The private view for The 100 Mothers show at Chester will be on Thursday 8th of March from 4.30pm until 6.30pm. Chester based artist Jo Thorne will be in charge of the hang. Proffesor Neil Grant says: "Contemporary Art Space Chester (CASC) is based in a new gallery development at the Kingsway site of the University of Chester. The site contains the Art and Design Department where students study Fine Art, Photography and Graphic Design. Chester has not had a contemporary art space and I hope this development will bring challenging contemporary art to the attention of the Chester public and inspire the students and staff working in the department. Throughout the academic year the gallery will display the latest work from students and staff and host at least two major shows from invited artists." The collection of paintings was put together by Harry pye with help from Emma Ridgway, Mat Humphrey and Jasper Joffe. Over the years vital support for the project has come from Elizabeth Haarala, Eilidh Crumlish, Edward Ward and Gordon Beswick. Please note the paintings are not for sale individualy. 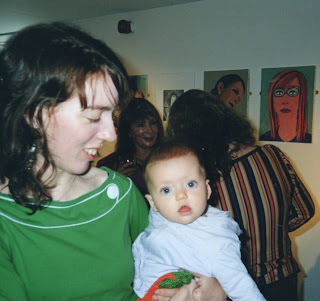 So far the paintings have been exhibited at the Oh Art Gallery in Bethnal Green, The North Edinburgh Arts Centre and The Sartorial Gallery.